YouTubers are doing pretty weird things. When Tom "Killem" Stanniland a Big Mac to a weather balloon, (Yes, you read that right.) He was expecting an interesting video. Killem would never have imagined the epic adventure that Big Mac would take. It traveled into space and landed nearly four hours from where it was started. Killem has earned more than two million subscribers on YouTube. He makes videos that viewers just can not look away from. He did things as normal as detecting metals on a beach and things as fierce as playing Wii for 100 hours. Tom's latest video could be the most viral yet. 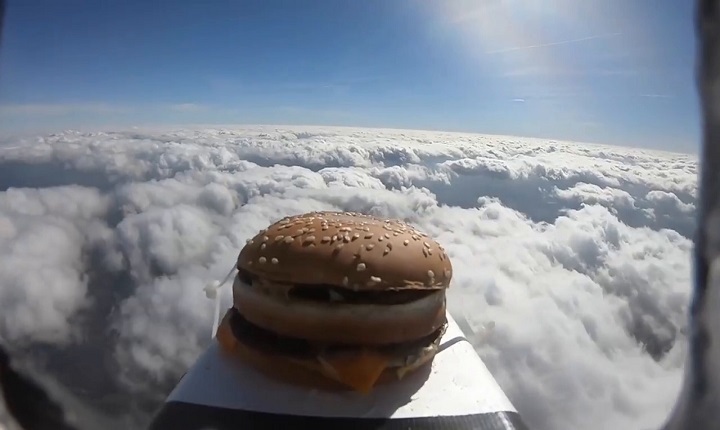 He bought a Big Mac and put on a weather balloon, a parachute and a GoPro camera. The burger came so far into the stratosphere that it was quickly frozen in the cold temperatures. Killem took amazing shots of space, but the thing suddenly changed as the weather balloon held up the entire device. The GoPro survived as the burger fell to earth. 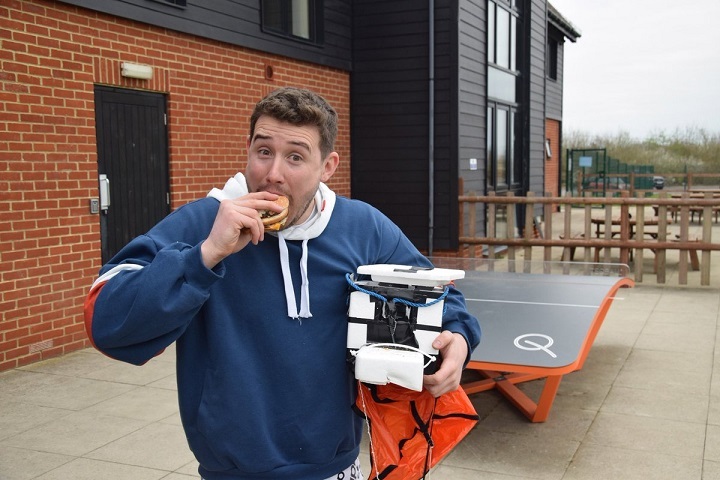 As fate would have it, the hamburger landed in the middle of the football field of Colchester United FC. As if the situation were not sufficiently entertaining enough, the team used funny memes and gifs to cover the situation twitter, The team used the Side Eye Chloe meme to describe the reaction of the social media team when they heard about the strange burger in the field. There was speculation about where the burger had come from. Throughout the confusion, Killem could still see the whole action as the rugged GoPro was still rolling. He lives in Sheffield and Colchester is nearly four hours away from home. 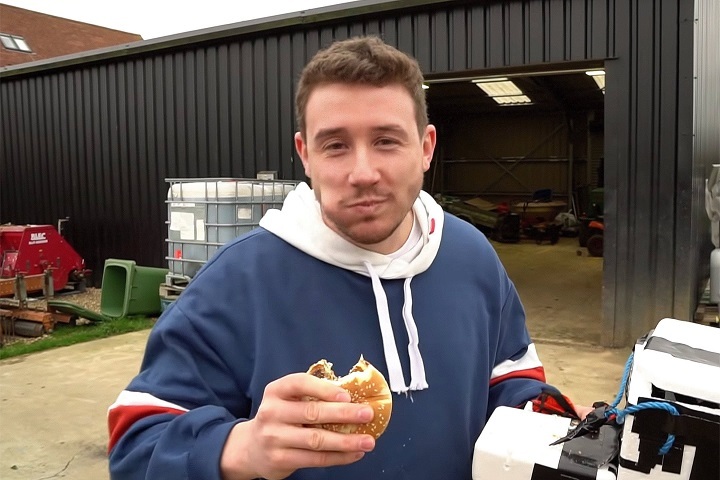 Tom drove all the way to Colchester to get his burger. The team posted a video of him on Twitter, and of course Killem made a YouTube video about the incredible event. As you can see, the burger found its untimely death when Killem ate it!